I have always enjoyed Disney- so if you aren’t a Disney person bear with me. Did you catch that? “Bear” with me? Today, we are featuring a 5 point plan of attack for your Disney Trip. Tomorrow, Disney Hotels ranked and reviewed, along with our analysis of staying on property or off. Thursday and Friday will be devoted to our park favorites, including our number one recommendation for parents with infants and toddlers still happy in that stroller- Epcot. We will also include other sites to visit to make your trip magical. I started this post with the statement “I have always enjoyed Disney.” That perhaps is an understatement, but I thought it important to sound aloof, put together and decidedly grown up. Let’s be honest. I love Disney. Looooooove. Disney. See, Meg Runs with Mickey. So much so that my husband says things like “It’s good to take Megan to Disney, I feel like I can relax and she can run around safely.” He is referring to his wife, not his child. 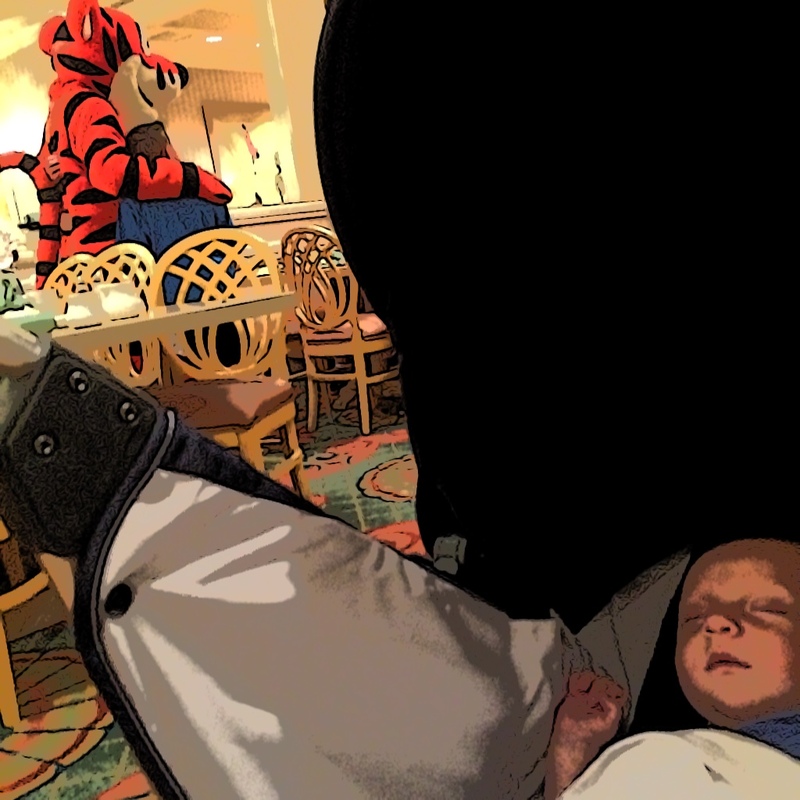 We took the boy to Disney at about two months. And actually had a lovely time. More of a “grownup” time than we had since he was born. And this is how we did it. As most parenting travel blogs will tell you, just because its vacation doesn’t mean that children no longer need naps and downtime. The older our bear gets the more this resonates with me. We stick to his schedule. If he would usually be playing at that hour we are in the parks, if he would be napping (and here was our big risk) we go somewhere cool and quiet. That could be your hotel room, a sit down restaurant, or the lobby of another hotel. Over our travels to Disney and as the bear has gotten older we’ve seen the importance of not letting him get overtired and overstimulated. Something harder and harder to do as time goes on. It’s been our experience with our child and with friends children that pushing the limits on the children leads to children pushing the limits on parents later in the day- so employing the lessons of mutually assured destruction, we stick to the schedule. If you know that you want to make sure to see a show or go on a particular ride, plan your day around that. We use Touring Plans to “optimize” our trips. While they charge a fee, this site is amazing and better yet lets you know what you are up against. For example, if you want to ride Space Mountain and the kids absolutely can’t miss Winnie the Pooh, Peter Pan and Splash Mountain, you put those rides into their website form, select any restaurant stops or rest times you plan on having and voila. They will tell you- based on data from the surrounding week and from the last several years- which order to do the rides in, which require Fast Passes and best yet how long you can expect to wait, allowing you to know in advance if you can hit it all and keep #1 in mind. If you are waiting in the regular line on a busy summer day for one of the top attractions in the park you are doing it wrong. It’s too hot and while its not particularly spontaneous to plan your day out so much in advance, it will make your trip so much more pleasant. Print maps before you go and have an escape route. If you need to make a run for it, whether its for quiet playtime, a diaper change or feeding, with large crowds and distractions abounding you need to know your battlefield. This is sounding like so much fun already, right? For example- baby care centers are available at all four theme parks. They are stocked with child necessities (diapers, formula, etc.) and provide an air conditioned space to take a breather. Now, just as it can get busy outside the baby care centers can be busy, but they are usually a much preferable option to the regular restrooms. 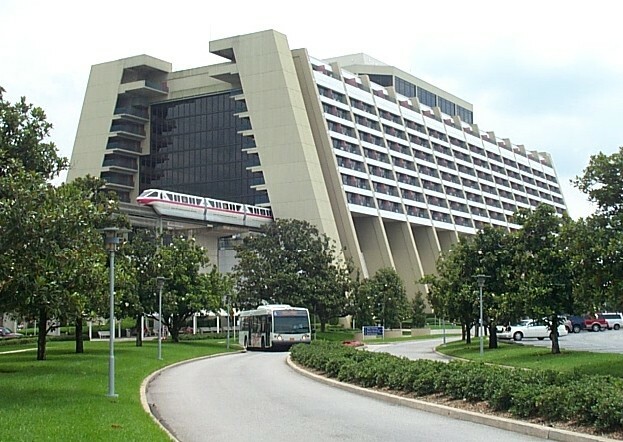 Another example is Disney’s Contemporary Resort. You can walk to the Contemporary from Magic Kingdom and while its main floor with Chef Mickey’s Restaurant, shops and food court is always loud and boisterous, the first floor and its several conference floors provide a lovely quiet escape to sit and talk with a cup of coffee. Plus there is so much to see at the Contemporary that you can divide and conquer, one parent or family member or friend can walk around with an older child while you sit with the babe or the kiddo that needs a break. Disney rewards you in many ways from being among the first to enter its parks. Not only do you usually face much lower crowds (meaning no lines for coffee and pastries) but if you arrive 15 minutes before the parks open there is a special welcome show with characters! Very cool and a special memory. The parks open at 8 or 9 depending on the time of year and whether there are extra magic hours (there are special hours that only guests of Disney resorts can access the parks). Its likely you are up anyway so get out early, have a less stressful day staying one step ahead of the crowds and wrap it up in time for sleeping children and a glass of wine on your balcony.